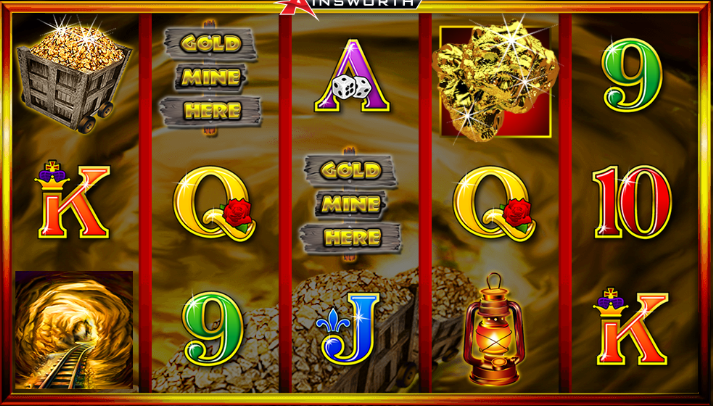 If you are familiar with Aristocrat slot games, then you probably will find Ainsworth Gaming's video slots interesting. This is because the founder of Ainsworth, Len Ainsworth, was also the owner of Aristocrat company back in 1953. Going by the gentleman's pedigree in the casino development industry, you expect to find top-notch games that meet a certain standard. Ainsworth Gaming has once again opened the curtains on Twice the Money, a video slot that is packed with stunning graphics, unique symbols, and special features. Twice the Money is a colorful 3D video slot that will provide you with the chance to dive deep into the underground where the most valuable treasures are hidden. Arm yourself with an axe and jump on the trolley and go in for the treasures! You will find 5 reels, 3 rows, and 30 pay lines and you can bet from $0.01 per line up to a maximum of $3000. Twice the Money is playable across all platforms including mobile, tablet and desktop. The free play version will help you to understand how the rules work before you advance to the real money game. Read on our detailed review of Twice the Money slot and learn the tricks of forming winning combinations. Nothing in this world beats the look of pure gold; this explains why it has become a common element in video slot themes. The only problem is that gold has not always been used in the right way until Ainsworth released Twice the Money slot. The slot is set to load on the valuable mineral as it unwraps a series of symbols that perfectly blend with the theme. Everything from the gold-tinged mine shafts to the numerous gold nuggets is crafted with the precious metal. The user interface is fancy and straightforward to maneuver both to beginners and regular slots players. The graphics are stunning, and the accompaniment of the music and sound effects creates a excellent gaming experience. Twice the Money slot comes with intuitive and straightforward classic controls. The betting menu does not provide a lot of options in this game. By clicking on the Gear icon, you will be able to adjust the 30 pay lines and the stake you wish to wager. The betting range is from as little as $0.01 per line and spin, and you can play up to a maximum of $100 per spin. You will find additional options and the spin button in the lower right corner of the screen. The Autospin button (represented by the + sign) will allow you set up to 100 spins to play uninterruptedly. The buttons on the main pop up menu will enable you to configure the sound, speed, etc. With a medium to high variance and theoretical return to player RTP of 94.3%, Twice the Money offers incredible odds of winning compared to other slot games you may have played before. Everything in Twice the Money slot game is gold. The symbols are represented by everything you need for mining including an underground railroad, a cart full of coins and a lantern. Also, you will see the Gold Min Here sign and the Weighing scale which awards a ten times multiplier of your bet when it appears. Joining these are the standard deck card symbols K, Q, A, J, 9 and ten which represent the low paying symbols. The dynamite is the wild symbol in the game, and it may be accompanied by a multiplier to form a chain of winning combinations during the free games rounds. The wild dynamite symbol will showcase on reels 3, 4 and 5 and substitute for all other symbols except the scatter symbol. The scatter symbol is represented by the gold nugget. Landing 3, 4 or 5 of these symbols anywhere on the reels will reward you with 2, 10 or 100 times your total bet amount. The scatter gold nugget symbol has the power to trigger the Free Games feature which comes with ten free spins. During the base game, the standard wild dynamite symbols land on reels 2 and four only. Multiplier dynamite will be added to the reels and can only land on the middle reel. The final two free spins will reward you will get a whopping eight times multiplier. During the Free Games Feature, any three or more scatter gold symbols appearing will activate the Twice the Money feature and reward 5 additional free games. 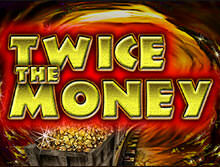 One the Twice the Money feature has been activated, all the remaining free games are played as Twice the Money games. Play Twice the Money Slot On the Go! The mobile version of Twice the Money slot is exactly what you would expect from the leading software provider, Ainsworth Gaming. The graphics, animation, and gameplay are optimized with modern HTML5 technology. This means you will play Twice the Money slot with high-quality visuals on your smartphone and tablet without losing the original quality. Being an instant play slot game, you dont need to download software, simply login via any standard mobile browsers like Chrome, Safari, and Firefox and enjoy for fun or real money. Ainsworth Gaming Technologies started developing slot machines for land-based casinos way back in 1995. The company has its headquarters in Sydney and with several offices around the world. Besides working together with giant companies like Microgaming and Playtech, Ainsworth holds two licenses from the UK Gambling Commission and Alderney. The company became renown when it joined the online industry in 2013. Today, they supply some of the leading online casino operators in the market with exciting online slot games. We reward all new players with a decent match bonus of up to $1200 welcome bonus plus 100 free spins. We offer a wide range of games from favorite developers like NetEnt, Evolution Gaming, Betsoft, Playson, Playtech, etc. Our payment options are safe, convenient and widely accepted in the market. All activities on our site are regulated by the UK Gambling Commission (UKGC). We offer unmatched customer support service via email and live chat 24/7.